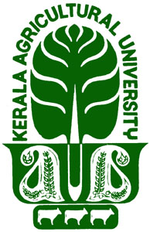 Kerala Agricultural University has announced recruitment news for the post of Teaching Assistant and Farm Officer. Applicant may appear for walk-in-interview on 16th January 2016. Salary/ Wages: Salary of Rs. 35,000/- per month for Teaching Assistant post and Rs. 500/- per day for Farm Officer Post. Education/ Qualification: Applicants applying for Teaching Assistant post must possess MVSc and AH/ BVSc and AH. For Farm Officer post applicants must have completed B.Sc Agriculture from government recognise university/ institute. Procedure to apply: Applicants may appear for walk-in-interview at the venue along with all the relevant documents.